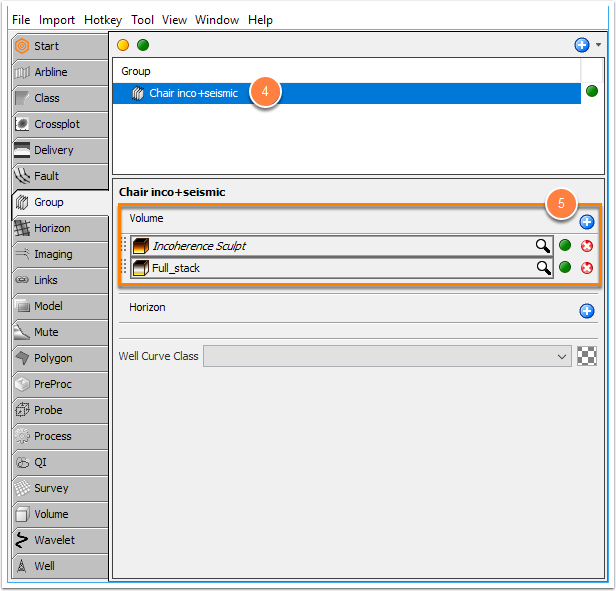 DUG Insight User ManualFrequently Asked QuestionsFrequently Asked Questions WorkflowsHow do I create a "chair" display in the 3D view using two different volumes? 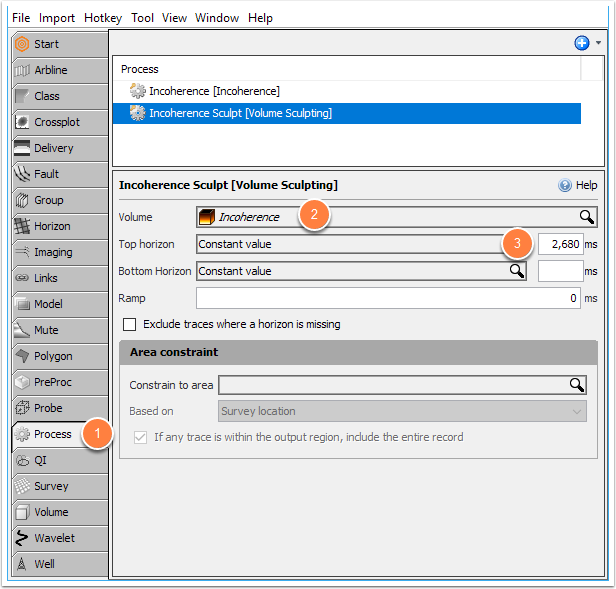 Go to the Process tab and create a Volume Sculpt process (see Volume Sculpt process) e.g. "Incoherence sculpt". Use the incoherence (or other time-slice attribute) as input for the Volume field. Set the Top horizon as Constant value of the slice to display, e.g. TWT 2680. Go to the Group tab and create a group e.g. "Chair inco+seismic". 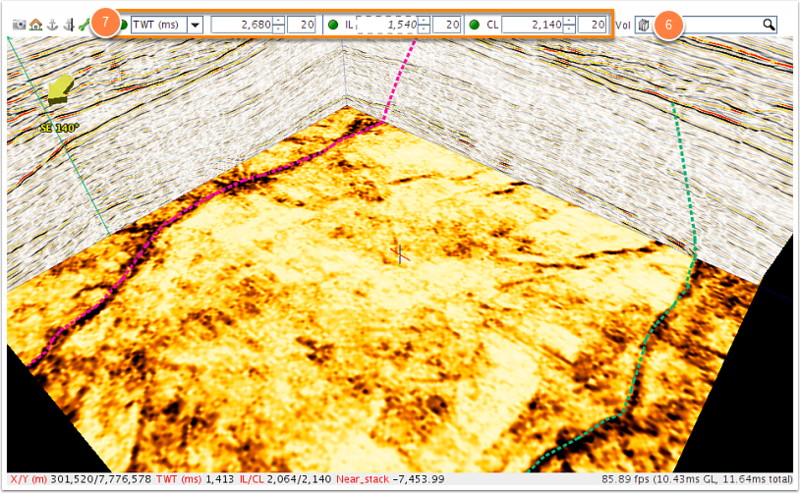 Seismic stack (or volume to display vertically). In the 3D View, select the group in the Vol search box. Turn on IL, CL and TWT (e.g. at TWT=2680).